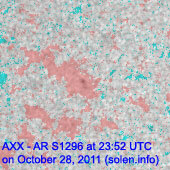 Last major update issued on October 29, 2011 at 04:55 UTC. 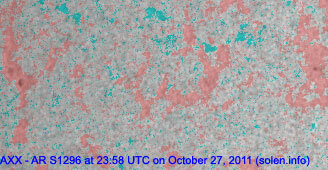 The geomagnetic field was very quiet on October 28. 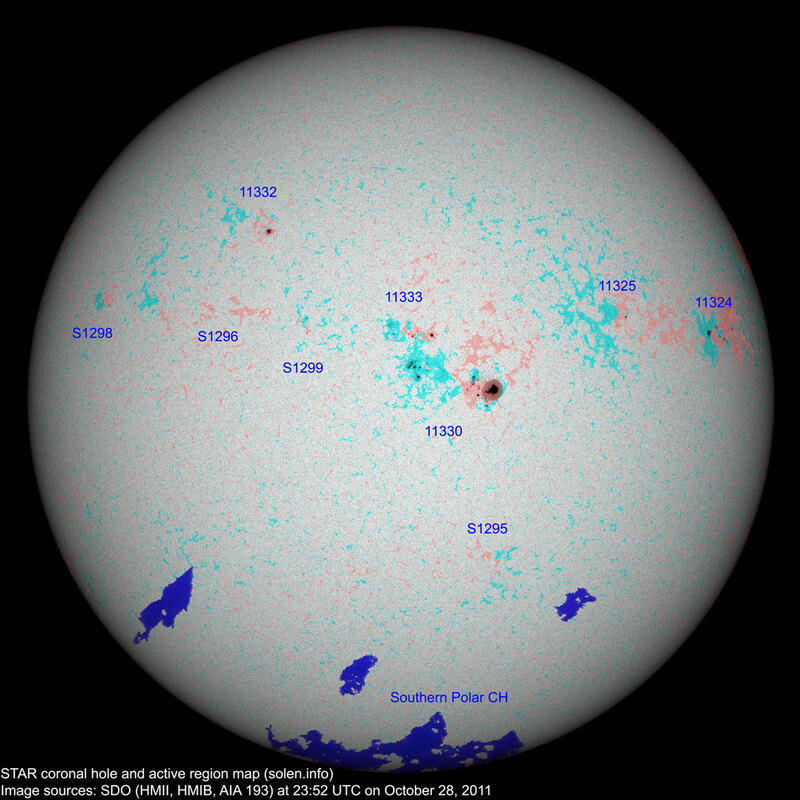 Solar wind speed ranged between 278 and 435 km/s. 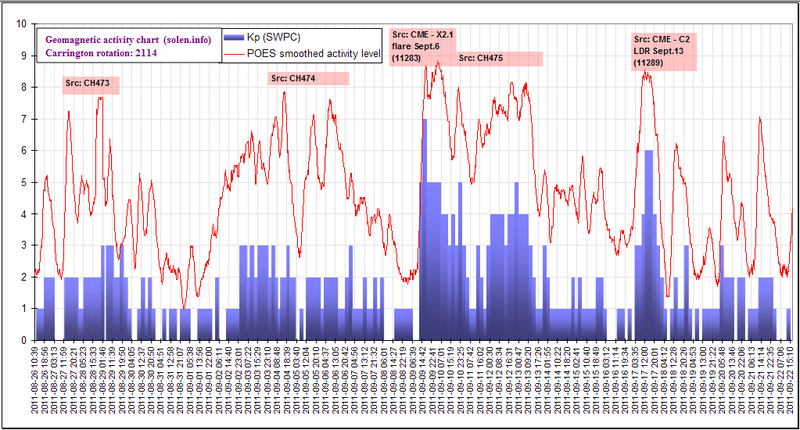 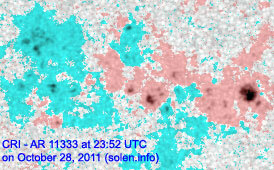 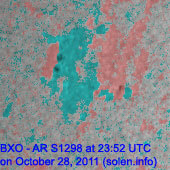 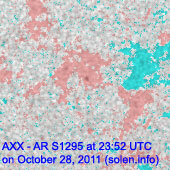 Solar flux measured at 20h UTC on 2.8 GHz was 133.9 (decreasing 3.0 over the last solar rotation). 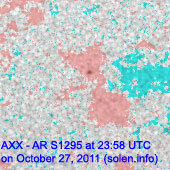 The planetary A index was 2 (STAR Ap - based on the mean of three hour interval ap indices: 2.1). 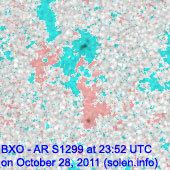 Three hour interval K indices: 00000111 (planetary), 00001010 (Boulder). 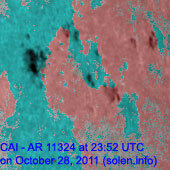 Region 11324 [N12W60] developed early in the day, then decayed slowly. 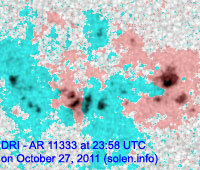 Flares: C1.0 at 07:04, C1.7 at 12:17 UTC. 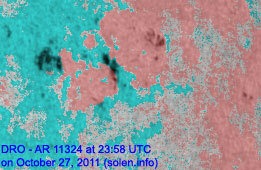 Region 11325 [N16W38] decayed slowly and quietly. 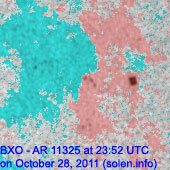 Region 11330 [N07W12] decayed in the trailing spot section while some development occurred to the east of the large leader penumbra. 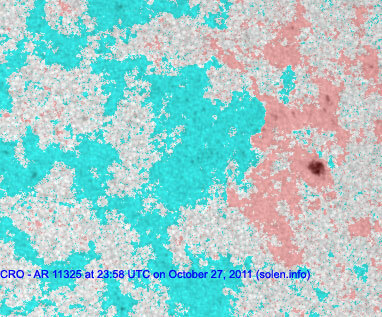 Flare: C1.0 at 06:14 UTC. 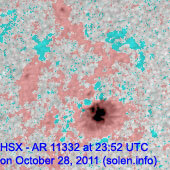 Region 11332 [N32E25] was quiet and stable. 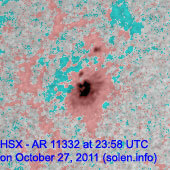 Region 11333 [N15W03] decayed slowly and quietly. 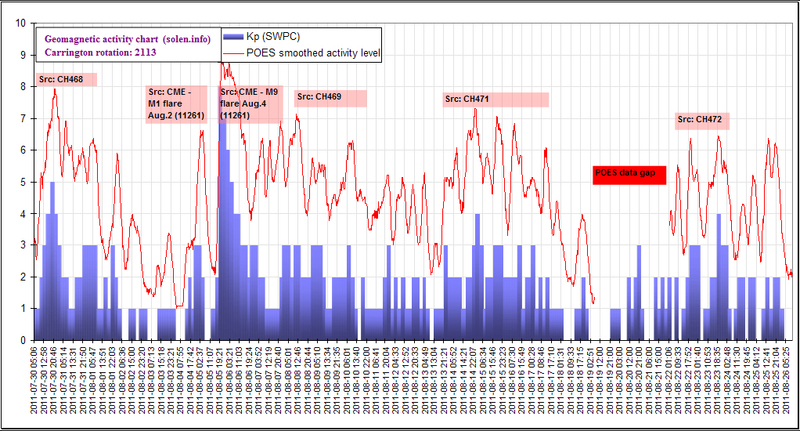 October 26, 28: No obviously Earth directed CMEs observed. 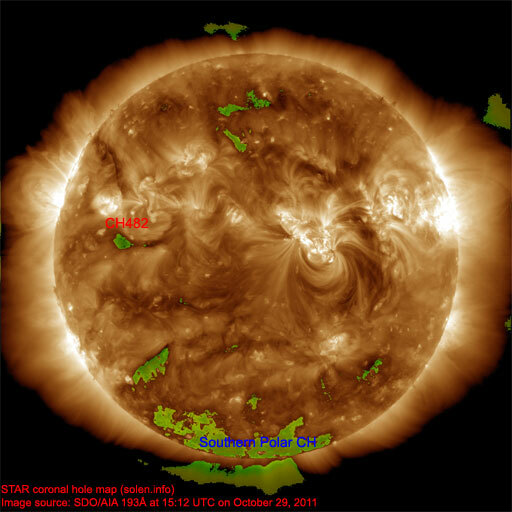 The geomagnetic field is expected to be quiet to unsettled on October 29-31 due to weak effects from CH481. 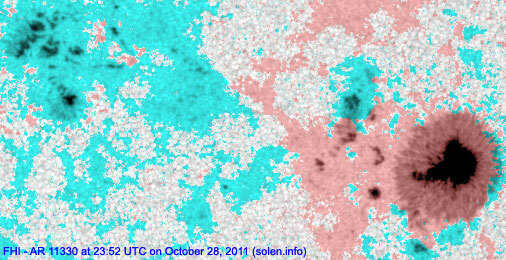 If the CME observed on October 27 arrives, some unsettled and active intervals will be likely on October 30.